We contribute to Kyrgyzstan and its economy by creating jobs, paying taxes, using local suppliers and investing in community infrastructure. Effective stakeholder engagement is essential to managing our social responsibility. We have established structured processes to effectively listen to, and communicate with, our stakeholders, including regulators, shareholders, employees, local communities, small businesses, and the general public. In addition to our economic contributions, “Kumtor Gold Company” goes beyond this and implements Sustainable Development Projects in Issyk-Kul region. In addition, we invest 1% of our revenue annually into the Issyk-Kul Development fund. The current life of the Kumtor mine is expectedto end in 2026. Given its size as a major employer, taxpayer, and purchaser, mine closure is expected to bring with it a negative economic impact in the Issyk-Kul region and across the country. In order to reduce this impact, the strategy of our community investments is to promote and develop a more diverse economy which will not be over-reliant on Kumtor. This approach would help lessen the effects of Kumtor’s mine closure. 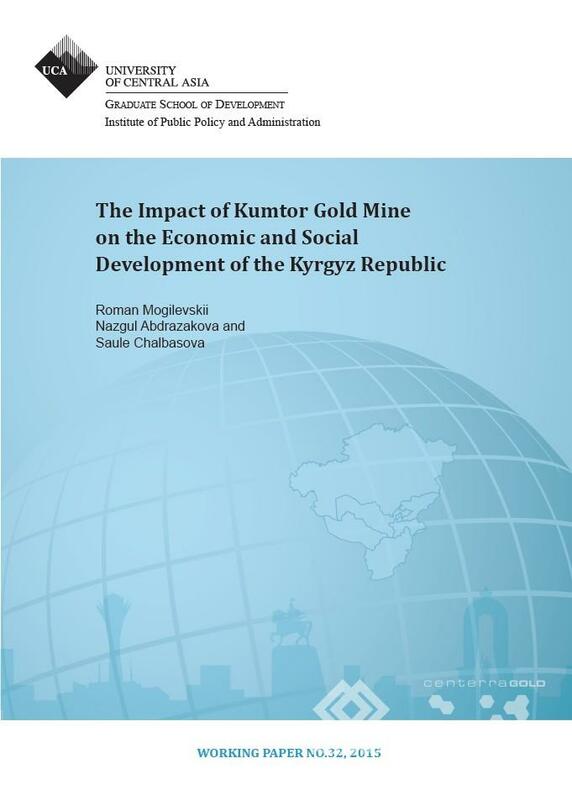 The Institute of Public Policy and Administration, which is part of the Graduate School of Development of the University of Central Asia made a research and issued a working paper #32, 2015 “The Impact of Kumtor Gold Mine on the Economic and Social Development of the Kyrgyz Republic”.